I am getting your photos as well as text. You have overcome the 400 error! So far So good! 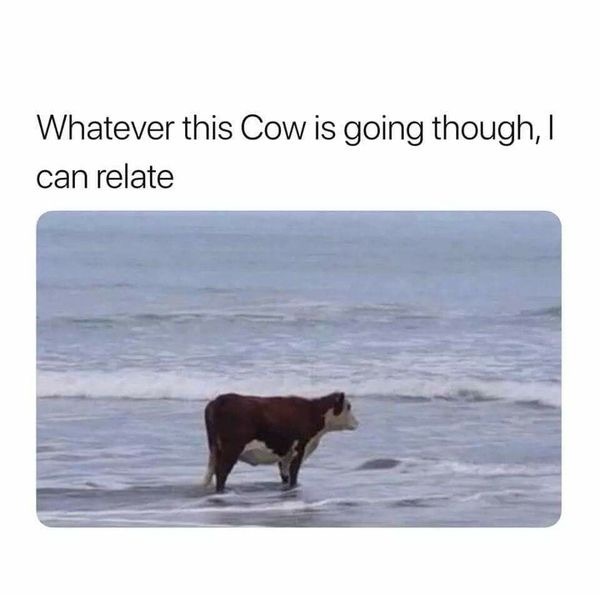 A cow in the ocean is quite the sight to be seen! Good for you at overcoming the error 400 blurb! Go Coni! Coni victorious over the error 400 curse. Congratulations on figuring out the error 400! You are WAY smarter and more technologically adept than I could ever hope to be! So glad to see you have been able to stitch a bit as well. You go, Coni! Isn't getting the better of ruddy computer issues a wonderful feeling? Glad that you've got it sorted out. I hope it makes you feel powerful and ready to conquer the world. 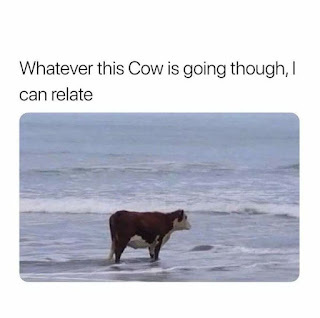 Love paddling cows - you are cured of the dreaded 400!